This is ​Rupert. 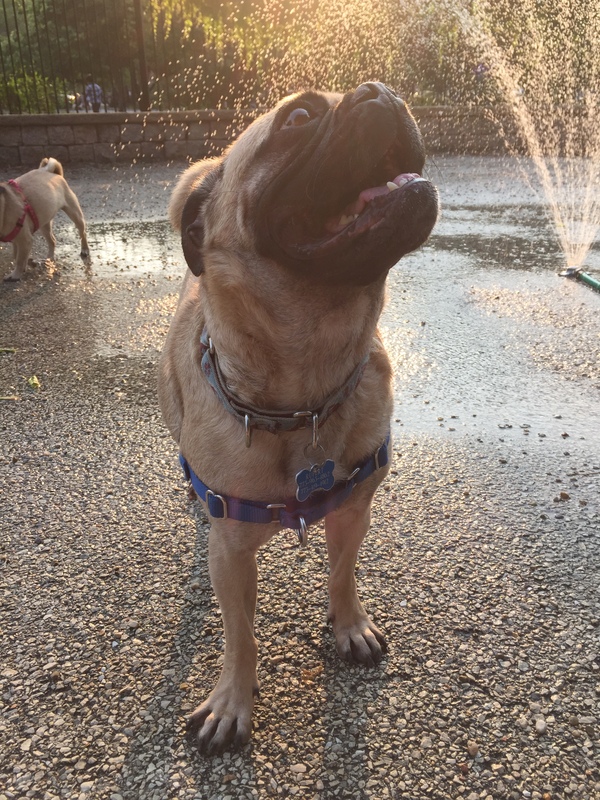 For a pug, he’s a bit of a giant, weighing in at a whopping 35lbs. He’s incredibly tall and really the only thing about him that resembles his breed is his smushed little face. He is unbelievably sweet and affectionate one minute, and then the next he is running from window to window barking like a maniac (maybe the wind blew funny–who knows? ).When he’s anxious, he gets this really intense expression on his face and he looks like a dinosaur from a Disney film. Despite his copious amount of extra skin, his eyes bug out of his head like there just isn’t enough flesh to contain them. It’s a wonder he can close his lids. Lola is small, but you wouldn’t know it by the noises she makes. A soft pallette issue means she sounds less like a dog when she barks, and more like we’re living with a zombie from the Walking Dead. It’s endearing, except in the morning when she gurgles and whines from her crate for attention. She has the sweetest disposition toward everyone EXCEPT her brother. Poor Rupert has to endure endless teasing, face biting and toy stealing because, unfortunately for him, she’s much smarter and small enough to run where he can’t fit. Neither of them are anything like what we expected when we’d decide to adopt pugs. Lazy. Sleepy. Quiet. These were all things we’d been told by countless books, blogs and fellow pug owners to expect. Lies. 1. There will be hair. Everywhere. From the age of ten to twenty seven, the love of my life was my golden retriver/border collie mix, Oreo. My family got her after our father passed away, and over the years she became more and more my dog. And despite the tumbleweeds of long, black hair she shed all throughout the house, she was perfect. I compensated by dressing in black and dark colors from head to toe for the better part of seventeen years. You can imagine, then, how difficult the adjustment would be to the endless shedding of two shorthaired, fawn colored pugs. A careful search of my browsing history will return pages upon pages of searches related to pug friendly fabrics (hint: there aren’t any). Acceptance is really the key to living with the little short beige hairs that, somehow, manage to weave in and out of the fibers of nearly everything you own. Acceptance, regular brushing and very expensive trips to the groomer. Lint rollers shall be a household staple, along with a good sturdy vacuum. 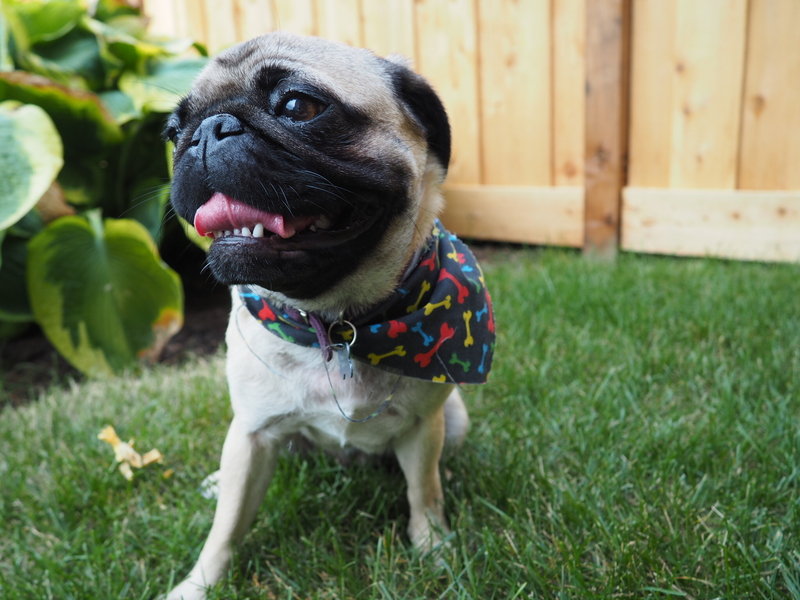 If you’re a pug owner with any ideas on how to overcome (or embrace) the shedding, please share! 3. You will be stopped on the street. “Oh my god! Look at the pugs!” This is something you will hearing regularly when embarking on even the shortest walks. Maybe it’s the googly eyes, or the smushed faces, but people can’t seem to get enough of pugs these days. Not that your furry friends will mind the extra love and attention, but it can make walking them a challenge if you’re in any sort of hurry. Like, for instance, when you are already late for work because Lola spent five minutes chasing her tail and refused to sit still to get her harness on. 4. ‘Food motivated’ doesn’t even begin to cover it. 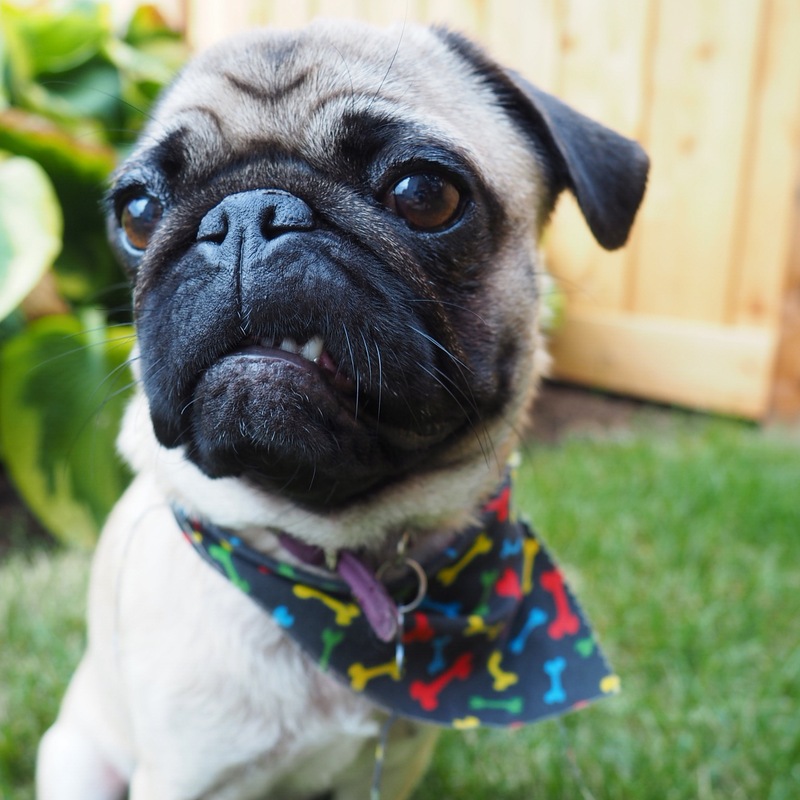 Be prepared to reach down and pull foreign, drool covered objects out of your pug’s mouth on a regular basis. 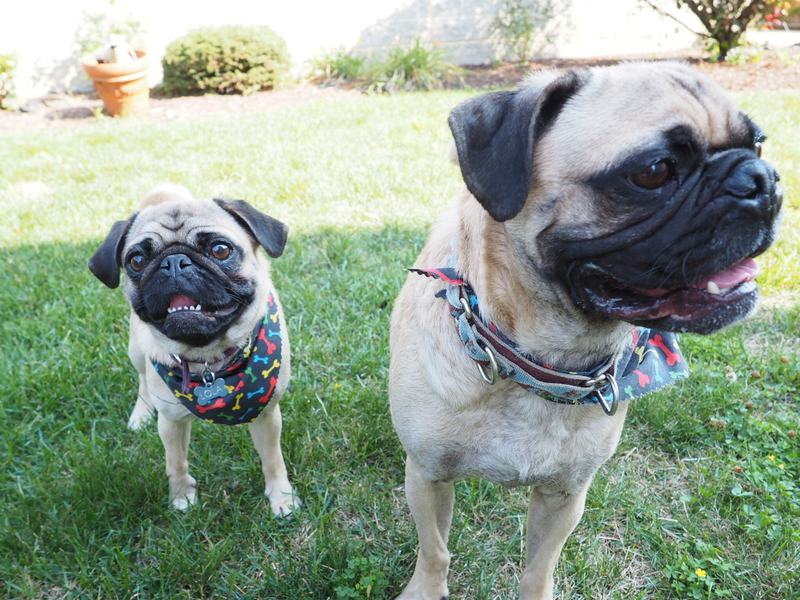 Lola and Ru both have an affinity for leaves, paper, underwear…basically anything found at pug level. Sometimes I will be in the bathroom blow drying my hair and all of the sudden, out of the corner of my eye -WHOOSHHhh!- a streamer of toilet paper trailing into the living room behind a blurry, beige fur ball.That being said, their passion for all things edible (and inedible) can work in your favor. If they think there is even a chance that they are about to be rewarded with a treat, they will sit, shake, roll, do your taxes, recite Shakespeare…(not really, but close). Just be sure not to give into those adorable little faces too much, as pugs have a tendency to gain weight. My poor father-in-law was dog sitting for us one night and fed little Lola a great deal more food than a ten pound pup should have because, “She just seemed like she was starving!” Needless to say, I came home to a very sick pup and was terrified she’d developed bloat. Thankfully she was fine, but it was a pretty sleepless night for all involved. 5. They are great dogs! 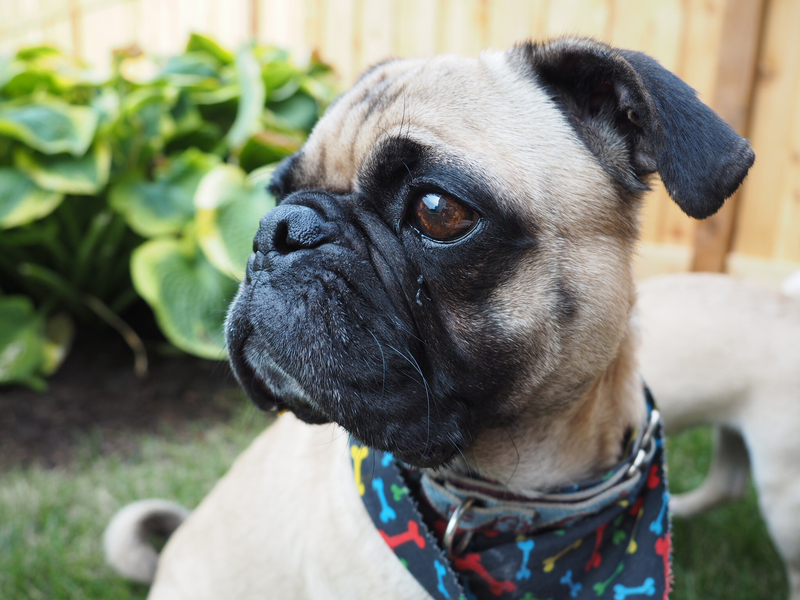 As much trouble as our two little pugnacious pups can be, they truly are wonderful pets. It’s funny, I always insisted that I was strictly a ‘big dog’ person, and I was very skeptical when the hubby had his heart set on pugs. But now that we have them, I seriously couldn’t imagine another dog for us. The nature of pugs is that they are sweet, loyal and so very, accidentally funny, and ours are that in spades. Worth the trouble? Definitely. 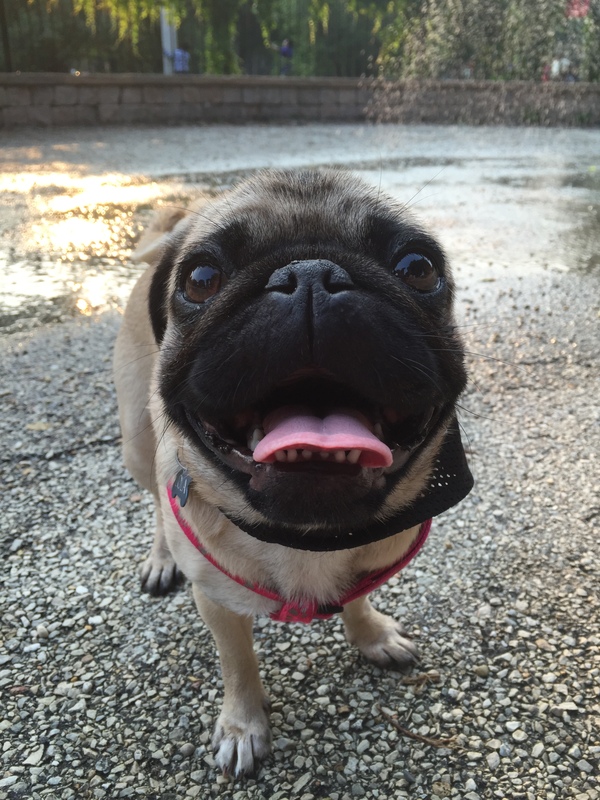 I love your descriptions and photos of your pugs! My blog has a post scheduled to publish on Nov 9, also about pug hair. You and I evidently have similar experiences in this regard….